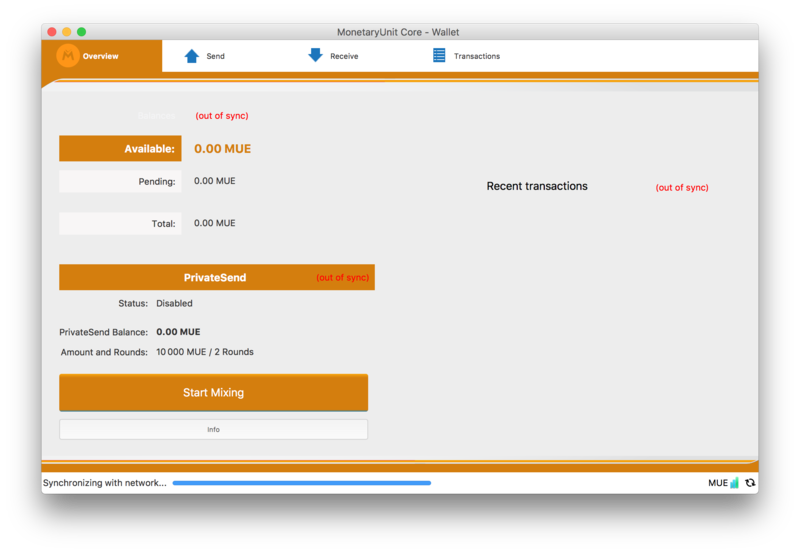 Mue Wallet (Mac) stuck at "Synchronizing with network"
My Mue Wallet (v1.0.3.2, Mac, freshly installed) is stuck at "Synchronizing with network..." (see screenshot). My appdata ("MonetaryUnitCore") folder size is currently 812MB so I guess most of the sync actually worked, but it got stuck at the end. If I restart the app I see the same thing ("Synchronizing with network..." and "out of sync"). I fixed this issue by launching the wallet with the reindex option.